Trusting another company to manage your business’ marketing is a lot like babysitting: it’s hard to hand over your baby to just anyone. You want to make sure your marketing is in safe hands, encouraging healthy growth. Unfortunately, all too often, companies who outsource their marketing are forced to jump from marketing agency to agency until they find the right partners, ones who will help to drive their desired ROI or results. Skip the growing pains by choosing an inbound marketing agency— a team who executes on proven strategies and is known for delivering remarkable results. 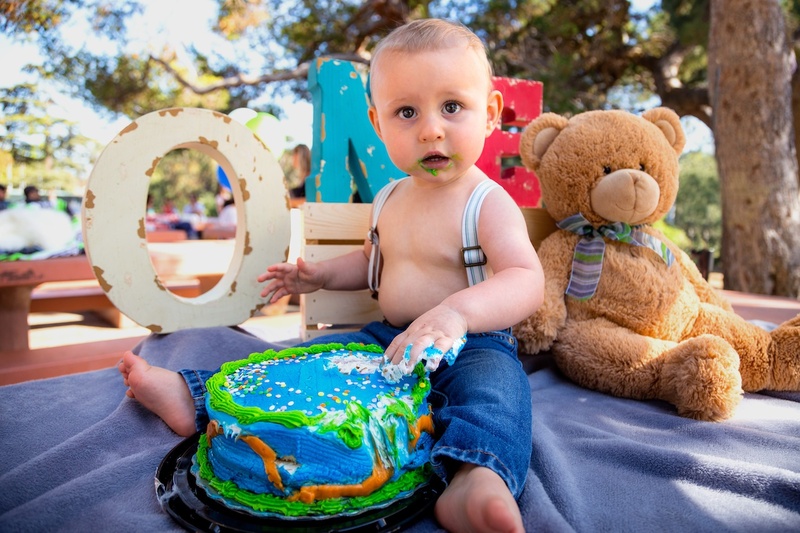 Explore our overview of what your first year working with a digital marketing company should look like, before you hand your baby over to anyone else. We get it. It’s hard to relinquish the reins. Even if you decided it’s time to outsource your marketing, it’s still hard to trust strangers with your brand. But the right agency won’t seem like a stranger. Look for a digital marketing agency who is willing to test the waters before making you commit to a long-term retainer. This should be a team that you’re able to build some rapport with beforehand, who isn’t afraid to prove themselves through smaller-scale projects, reassuring you in their competence, before locking into any sort of contract or term agreement. Marketing efforts don’t always yield instant results, but they can trigger small, visible trends in data— the start of momentum. Make sure you see signs of that. Before signing onboard for six months or a year, consider asking your prospective marketing agency to prove their worthiness with a short-term campaign. Need help with paid advertising? Let them manage your AdWords for three months and present the results. Need to improve your SEO game? Don’t let anyone tell you this is a long game and talk you out of a short campaign. A competent SEO marketer can get you ranking on the search engine results pages (SERPs) and start moving the needle on your organic traffic in weeks. Here at Impulse Creative, we start off with a customized audit, where our specialized inbound marketers do a full evaluation of your company's website or marketing practices. The evolution includes a deep dive of your social media and email marketing, a site health report, a keyword research build and competitive analysis, heat map tracking and more. At the end, we present our findings, no strings attached. Then, even after these outsourced marketers demonstrate their credibility, don’t stop there. A confident digital marketing agency won’t force you to lock into a year-long commitment (talk about ball and chain!). Look for an agency who gives you an easy way out if you aren’t happy. At Impulse, we partner with our clients to help them grow. That means we value establishing flexible initiatives and are inclusive of exit paths that set both you and our agency for success. Customers find comfort in knowing the door is in sight, even if they rarely want to leave! Once you’ve shaken hands with an agency and have agreed to start making some marketing magic together, your first encounter with the new team should revolve around strategic planning. The marketing company will likely call a few meetings to get a feel for your brand guidelines and mission, goals, current or desired audience and more. (The right team might even know a lot about this beforehand from your previous interactions or thorough research). You’ll be able to collectively assess your strengths and weaknesses, clearly outline your objectives with concrete deadlines (hello SMART goals! ), work together to develop buyer personas and collaborate on ways to transform prospects into leads and leads into customers. Let’s not forget delighting your long-standing fans. Again, your company’s action plan will vary based on your specific objectives, but a kickass marketing agency should clearly reveal their strategic growth roadmap, outlining your company’s goals and KPIs, with clear tactics for achieving them. One of our clients at Impulse Creative, COGENCY GLOBAL, initially came to us for help managing the off-brand content that remained after they made some website changes. What they actually needed was a complete website redesign. We started simply, by mapping out user navigation on our gigantic whiteboards, then sketching how functionality would work with the HubSpot COS. Only after clearly outlining a game plan that solved all of their problems, we dove in and got to work. Check out the case study here. Look for an agency who paints specific details, not blurred lines. You want to see exactly what they are doing. It’s easy to assume a digital marketing agency is operating based off of some sort of strategy (let’s hope! ), but you are responsible for holding them accountable for their methodology and ensuring they are executing on your agreed upon tactics. Again, your results are going to vary based on your specific objectives, but let’s look at an example. If one of your objectives was to increase website traffic, you should expect to start seeing the needle move by the three-month mark of working with a digital marketing agency. By this point, your outsourced marketing team probably started pushing blogs, posting on social, perhaps investing in paid advertising to bring in new eyeballs. Ask for that data. You want to see some charts crawling up. If your goal was to get more leads, by three months you should start seeing your contacts database expand. Your outsource inbound team might have launched a new content offer and setup a landing page, call to actions (CTAs) at the end of your blogs, developed retargeting ads or began utilizing conversational marketing to bring in more qualified leads. Sure, your results aren’t going to be instantly explosive, but you can definitely expect to see things shifting after 120 days of marketing help. The agency should be keeping you up-to-date on the progress along the way, so there aren’t any surprises at the end of each quarter. Make sure the agency reports, reports, reports on your prioritized goals! 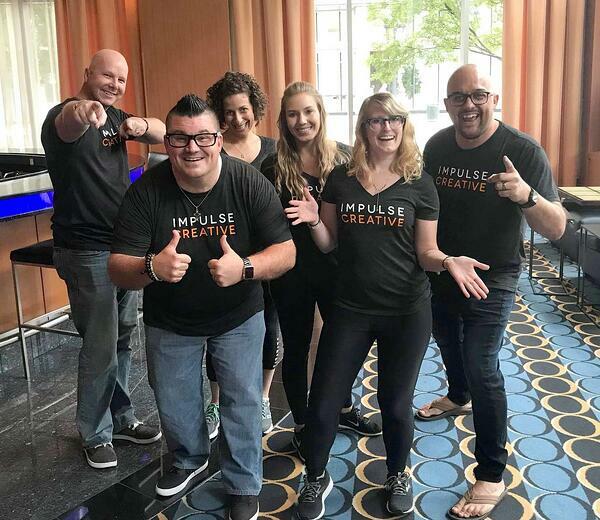 Our inbound marketers at Impulse Creative create customized monthly updates to share with clients, revealing specific metrics through Databox graphs and other reporting tools. In addition, our marketers compile a video recording, walking through the results, as well as schedule a live Zoom call or personal meeting with your company to discuss how the tactics are performing. If you care about paid social, leads and traffic, the outsourced marketing agency better be updating you on your improvements— as well as stay on the constant look-out for ways to optimize tactics to improve your overall marketing strategy. Halfway through your first year working with a digital marketing agency, you should have a list of tangible results to show. Your organic traffic should be exponentially climbing, including your overall page views, leads and conversions— or whatever KPIs or objectives you were working towards. 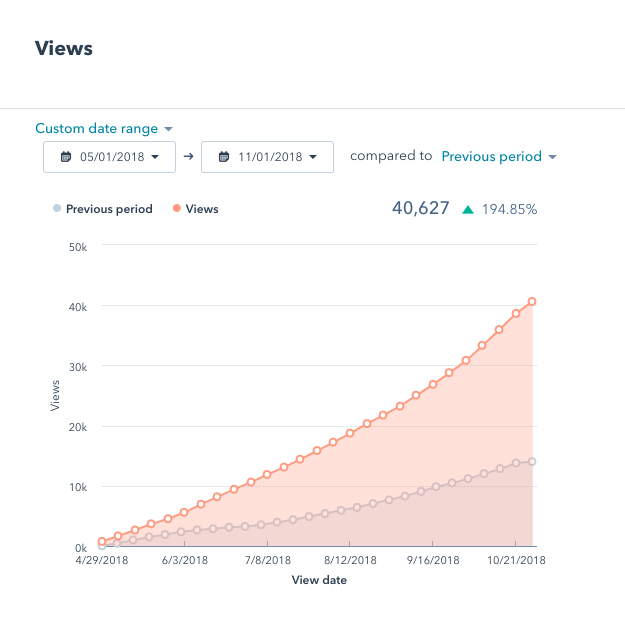 Here’s an example of some sweet data from how our blog at Impulse Creative climbed in views after just six months of organic mojo (hello almost 200% traffic increase from last year!). Look for this type of beautiful upward curve in your data. After six months of marketing love, you should be seeing an obvious upward trend of whatever metrics you’ve prioritized. This six-month mark is a terrific time for your agency to start pushing out a fresh campaign or content offer. 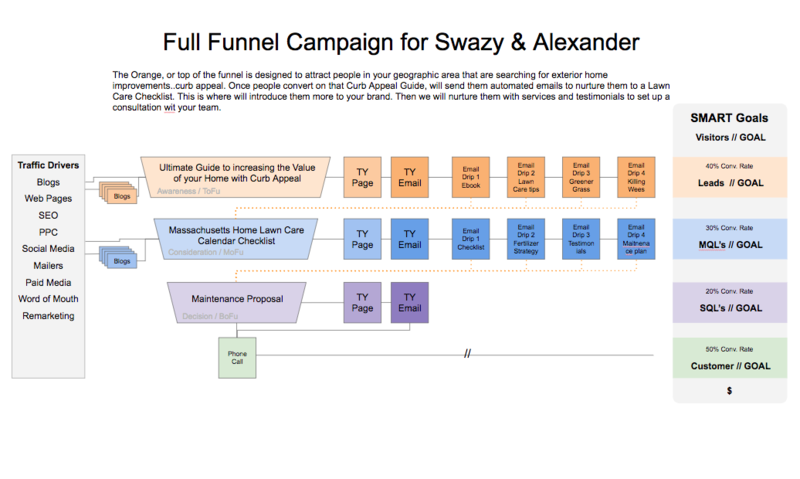 For example, if they pushed a top of the funnel campaign within the first three months, make sure they’re shipping a middle of the funnel offer by this time. Again, this will vary based on your specific objectives, but if leads are a priority, this strategy is a basic inbound principal. You should also be getting more customers, or at the very least, getting more sales qualified leads to facilitate better closings. Remember, quantity is not as important as quality— so instead of focusing purely on a higher number, look to see how well of a fit the new leads are to your company. Leads that aren’t converting, aren’t helpful and indicate that the agency’s efforts need adjustments. If you notice any disconnection in what was promised and what’s being delivered, now is the time to make it known. After a year of working with a digital marketing agency, you should have more sales qualified leads, meaning‚ you better be closing some deals! After 300+ days, you should absolutely start seeing full-funnel results, or increases in traffic, click-through rates and conversions in each stage of the buyer’s journey. Compared to last year’s data, you should be on a steady rise across all metrics you were promised. Before the end of the year, your marketing company will likely have an annual review, to celebrate your successes after 12 months of progress. It’s during this time the team will likely connect on new initiatives and start paving the way for setting new objectives, stretch goals for the upcoming quarters and share a keg with you (if they’re really cool). After seeing the results, this may be the right time to add more fuel to the fire, increasing your marketing budget to expand the tactics needed for bigger growth. If you’re on the hunt for a marketing team to complement your brand, trust an agency who is truly looking for a partnership— actively working alongside you instead of behind the curtain. At Impulse Creative, we’re transparent about the strategies and tactics we use to help you reach your objectives. They work— and we’ll prove it. In fact, we’re so confident in our methods that we want to show you the impact immediately. Ready for remarkable results? Schedule a call with us to discuss a customized audit, today.